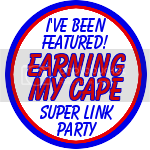 Welcome to my Super Link Party! I would love for you to join in, link up your projects and recipes, and help spread the word! I have decided to host my parties on Wednesdays. You know... something to add some excitement to the middle of the week. Because Pinterest is HUGE, and we all love the exposure (that's why we are here, right? ), I ask that you pin at least one or two other links for every link you submit. 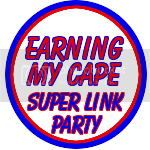 I think adding this rule will make this Super Link Party even more SUPER! I will choose a few "Super Features" each week. If you are featured, and you have a button, I'll display your button in my "Featured Guests" spot for the week! Your button gets a "Featured Guests" spot in my right sidebar! 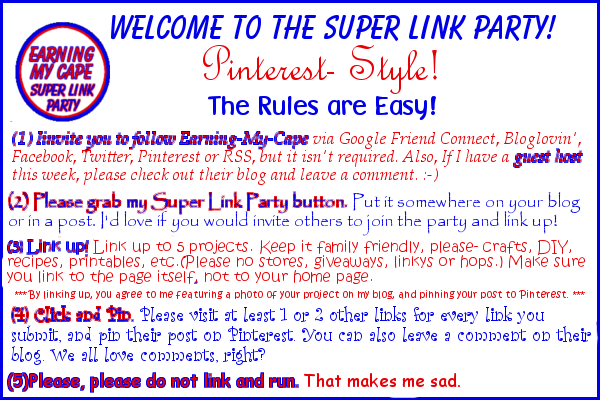 Your post gets pinned to my Super Link Party Features board on Pinterest! And if you've been featured, go ahead and grab my featured button! Read the rules below, and visit a party! Click Here to visit a party! Please come back next week to see my featured picks, and link up some more of your projects. Thank you for partying with me! Hi Congratulations on your first blog hop. Will you be taking recipes too or just projects? I will definitely be taking recipes, too! Looks like I forgot to mention that... oops! I'll fix it. Missed you this week..But I'm a new follower, grabbing your button to link up with you next week. Good Luck all!! Many Blessings for a wonderful weekend!